Chatbots – sophisticated, automated software which can handle enquiries like humans – are increasingly being used to provide online and mobile customer services. 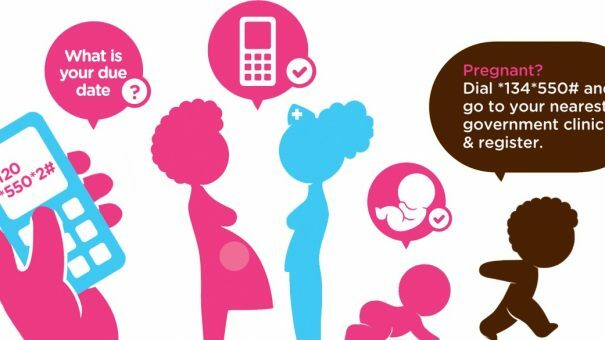 Now South Africa’s largest support network for pregnant women, MomConnect is to use Facebook’s Messenger chatbot to extend and improve its services. The Messenger chatbot software can respond to queries with structured messages that include images, links and call to action buttons. This interaction mimics human conversation, and harnessing it for health services could open up new possibilities for spreading information and self-care advice. Unveiled today at the International AIDS Conference in Durban, the bot will provide a wide range of information, including topics such as HIV, pregnancy and a baby’s first year. It will also offer a live helpdesk run by operators that can escalate any cases to a health professional. The MomConnect platform was developed by the Praekelt Foundation and was launched as South Africa’s national maternal mhealth service in August 2014, with the help of South Africa’s National Department of Health, the US government, Johnson & Johnson, and ELMA Philanthropies. The service currently primarily exists as an SMS service that provides a weekly text messaging service that includes maternal health information relevant to an expectant mother’s stage of pregnancy, as well as a help desk for mothers to ask questions and provide feedback. With the addition of a Messenger chatbot, the Praekelt Foundation hopes for a more engaging and personalised service. 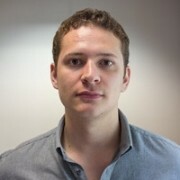 Simon de Haan, chief engineer at Praekelt Foundation says its maternal health services are made possible by open-source Junebug integration for Messenger, and said the organisation was excited about the potential of this open-source release creates for the wider health and technology industry. The MomConnect service currently has over 850,000 subscribers and is used by over 94% of South Africa’s clinics following its launch in August 2014. With the integration of a Facebook Messenger bot, the service has the potential to reach a much wider market considering South Africa’s current Facebook user population of 10 million individuals, 75% of which use it on their mobile devices. With over 900 million users worldwide and around 60 billion messages sent every day, the bot will aid in any planned expansion into other countries. The Praekelt Foundation plans to roll-out the technology to other African countries with a replicated MomConnect model, including the Hello Mama platform in Nigeria and the Family Connect platform in Uganda. The Praekelt Foundation specialises in open-source technologies to address social issues worldwide, particularly in Africa. It launched its mhealth youth engagement platform B-Wise across South Africa following the success of its YoungAfricaLive mobisite in 2009 which addresses youth social issues, such as sexual health and substance abuse. The platform will be extended to three more countries in 2015 under the name of TuneMe. On a wider scale, the Foundation recently unveiled its Incubator for Free Basics intiative which intends to accelerate Facebook’s Free Basics platform – a platform established by Facebook to provide internet access to the two thirds of the world that is currently unconnected.